Carr wrote about the media for 25 years and is best known for his Monday Times column, the Media Equation, where he chronicled the industry’s many upheavals over the last decade. Before joining the Times in 2002, Carr was a contributing writer for The Atlantic Monthly and New York. He was also the former editor of Washington City Paper and the Twin Cities Reader. His 2008 book, The Night of the Gun, detailed his experiences with cocaine addiction and recovery. Carr gathered information for the memoir as if he were reporting on himself, and many of the materials he collected are available online, along with an excerpt published in The New York Times Magazine. Earlier Thursday evening, Carr appeared with filmmaker Laura Poitras and journalist Glenn Greenwald for a conversation about the Oscar-nominated film Citizenfour at the New School. Carr was praised on Twitter by his friends, colleagues, young reporters he mentored, and those who never met him but were influenced by his writing, his blunt humor, and insights on journalism and life. You know that Janet Malcolm line that people like to quote — “every journalist who is not too stupid or full of himself to notice what is going on knows that what he does is morally indefensible”? David Carr proved that wrong, on deadline, all the time. Check out the videos below for a look back at why Carr was so respected and beloved. In this clip from the documentary Page One, in which Carr is featured prominently, he goes after Vice CEO Shane Smith after he disparages the New York Times’ reporting. If you’re gonna get a job that’s a little bit of a caper, that isn’t really a job, that under ideal circumstances you get to at least leave the building and leave your desktop, go out, find people more interesting than you, learn about something, come back and tell other people about it—that should be hard to get into. That should be hard to do. No wonder everybody’s lined up, trying to get into it. It beats working. David Carr taught me just about as much as I could ever hope to learn from one person. Absolutely gutted that he is gone. Think of the qualities you'd want in a colleague: David Carr had them all, plus the ability to surprise you every time he spoke. when i was unemployed David Carr bought me coffee, talked about Girls, and told me how promising my work was, and it meant everything to me. Carr was so tough. But he was also weirdly kind, especially to us kids. I hope he speaks to me from beyond. I miss him already. I loved David so much. He's been the closest thing I had to a dad. About girls, bosses, life -- he always knew what to say, what to do. 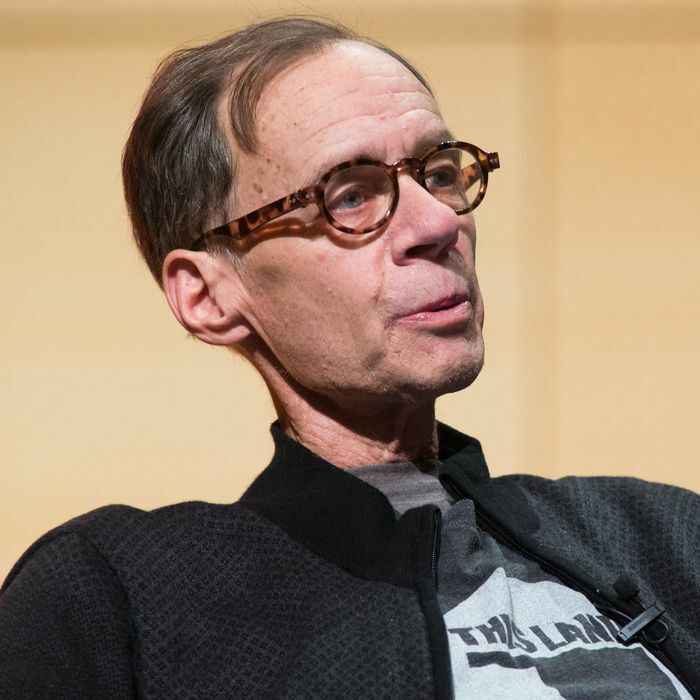 A world without David Carr is a worse world. David Carr. There will be none like him again.